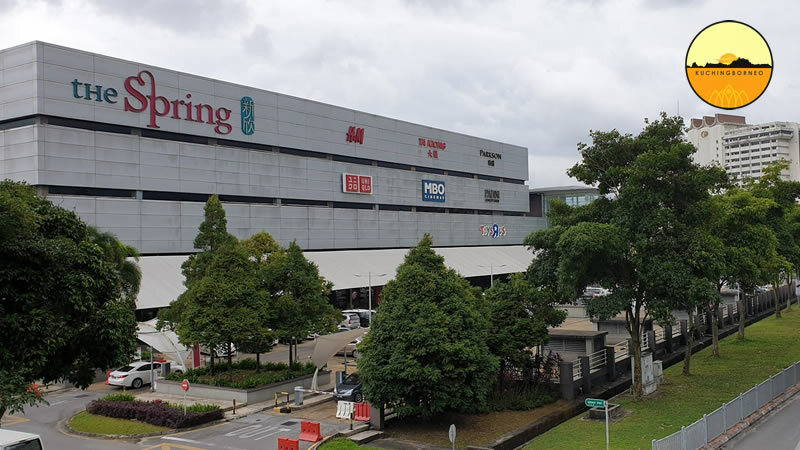 tHe Spring Kuching is one of Kuching’s favourite mall having housed many major brands and interesting seasonal decorations since it opened in 2008. It has been hailed as one of the best malls in Sarawak and Borneo by many due to it’s ‘not so big, but not so small’ size, as well as the fact the mall keeps things happening. The four storey mall has a variety of tenants and has one of the best food courts in Kuching City. The food court, named the FoodBazaar has over 15 stalls serving local and international dishes. The mall interior is clean and is well kept shiny, while the tenants are off major labels and local and international brands. There’s not less than 120 retail outlets available. An 8-screen cinema which also has a 3D screen is located on the top floor of the mall, while next to is Kids Zone which is a playground for the little ones. Parking is adequate, but you may find yourself in a little traffic jam shall you come during public holidays and weekends. The mall opens from 10AM to 10PM daily. tHe Spring Kuching has dedicated customer service counters and directories are scattered around the mall to help shoppers find their way. There’s four free washrooms in every corner of the mall as well as one premium washrooms. Premium washrooms coast RM2/entry but are very clean. 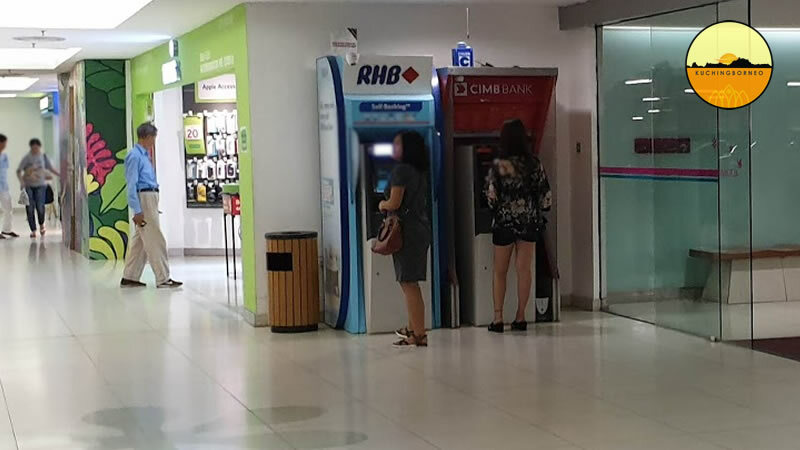 ATM machines which are MEPS friendly are available at the basement and the ground floor of the shopping mall. Parking facilities are chargeable and are divided into the basement parking, outdoor parking and premium parking. 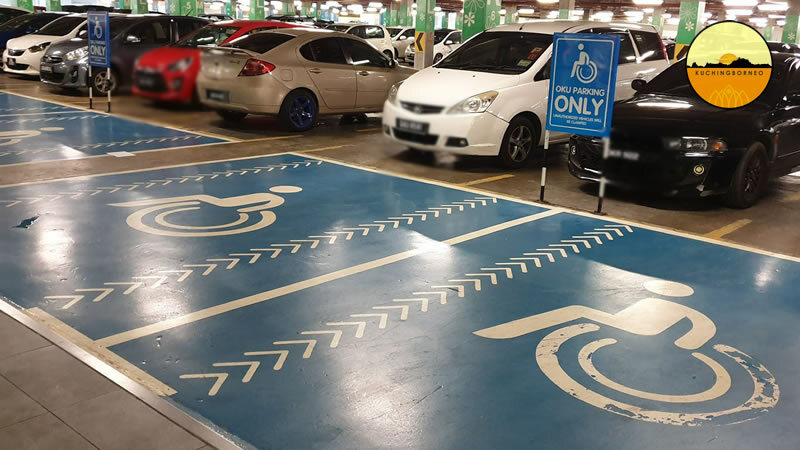 tHe Spring Kuching provides well marked disabled parking facilities as well and you must have a registered disabled parking sticker before you can use it. Wheelchairs and electric scooters are available upon request at the customer service counter. If you are driving, avoid parking illegally as the police tend to issue summonses for those who do so. It would be advisable to park at the basement as the mall as the cheaper option (out door parking) is quite a distance. This is especially important if you intent to buy a lot from the mall. Parking payment machines are available at all main exits, and you must exit within 30 minutes after you have made payment. The premium toilet is located on the far left of the mall entrance. tHe Spring Kuching is a popular destination in Kuching and you can get here using most public transports including buses and taxis. If you are taking the bus, use City Public Link with the numbers K8 and K11. The map below will be a guide to the mall. The following are hotels which are closest to tHe Spring Kuching. Note my brief list in the bracket as well. If you need more hotel options, check out HotelsCombined.com for best room rates in Kuching. Kuching is home to a good number of shopping malls and shopping destinations, as the city slowly cements itself as a shopping paradise among locals and tourist. The growing number of shopping malls in Kuching has grown significantly in the past ten years with the number of dedicated malls listed in out Kuching Shopping Malls guide. For fresh groceries, Kubah Ria in Satok is the biggest wet market which not only has a huge variety of fresh jungle produce on a daily basis, but also houses the weekly and busy Satok Sunday Market. Souvenir seekers on the other hand can check out our list of Kuching’s best souvenir locations or just indulge in some perfect hotels near the beach in Kuching. Next articleRWMF Tips: 10 RWMF essentials you must not forget!